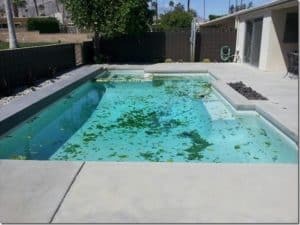 Smelly Pool Water Huntington Beach - Calif - Pool Heaven Inc.
We commonly hear new customers complain about their smelly pool water. 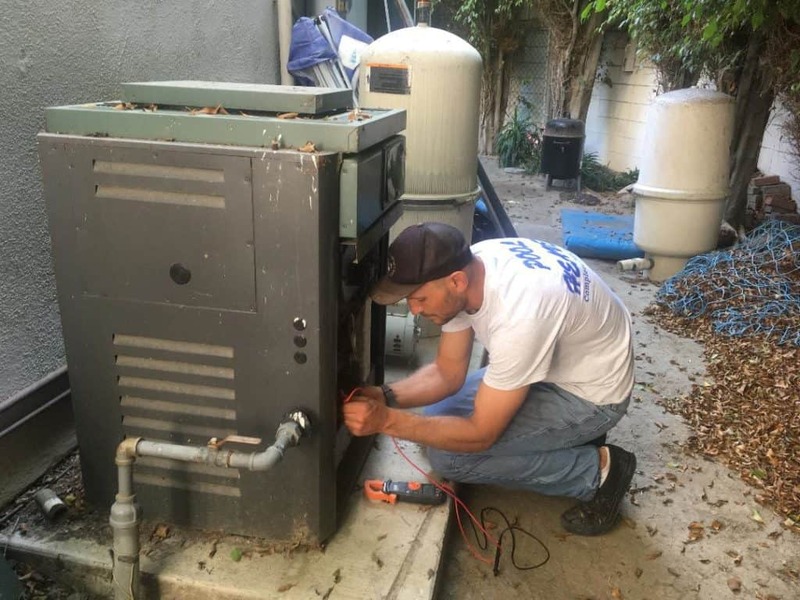 They are interested in hiring Pool Heaven, because they think their current pool service is too aggressive with the chlorine. 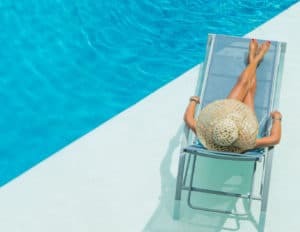 Smelly pool water is usually created from chemical compounds called chloramines formed by chlorine combined with nitrogen containing contaminants. 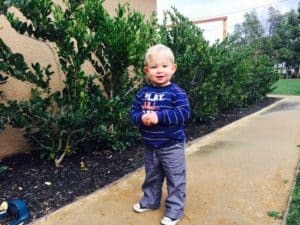 Put simply, chloramines are chemical compounds formed from the mixing of chlorine in the pool water with body contaminants like sweat, urine, and/or body oil. The problem is not too much chlorine, it is the formation of chloramines in your pool or spa. These chloramines are not only smelly, but they cause eye, nose, and skin irritation. Chloramines are still disinfectants, but they are 40 to 60 times less effective than chlorine. For perfect water chemistry, we aim to keep them from forming. You can kill chloramines by super chlorinating or by adding non-chlorine shock. Every pool should be shocked with superchlorination once in a while, but this is more invasive. 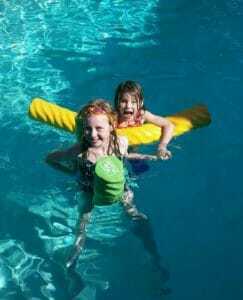 We like to use non-chlorine shock as it is much less aggressive than chlorine and does not demand over night closing of swimming pools or spas. 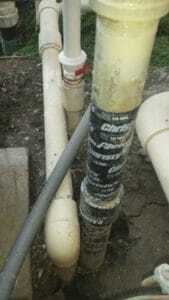 Remember chloramines form by the mixing of chlorine and body contaminants. The best way to keep these chloramines from forming is to shower with warm, soapy water before entering the swimming pool or spa. 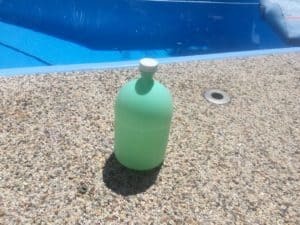 For most households, this is not going to happen all the time, so it is wise to add non-chlorine shock (sodium monopersulfate) to your swimming pool or spa every week during the swim season. The object is to keep these chloramines from forming by constantly killing them with regular additions of non-chlorine shock. Non-chlorine shock will oxidize these chloramines and free up chlorine to be used as a sanitizer. Non-chlorine shock will not kill bacteria or algae, but it will kill chloramines and other swimmer waste compounds in the pool water. 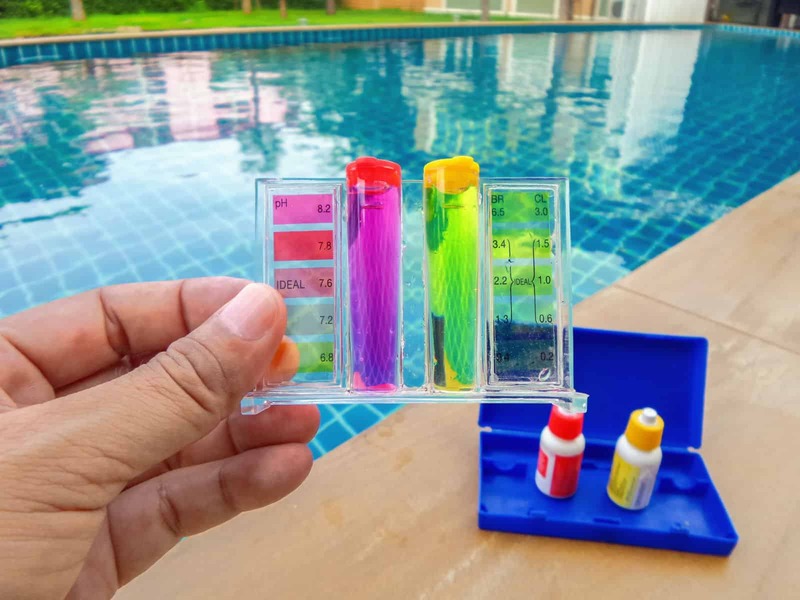 During the swim season, weekly additions of non-chlorine shock and enough chlorine to measure 2.0 to 4.0 ppm of free, available chlorine the following week will provide you with a properly sanitized swimming pool or spa. We like to add a couple tablespoons of a high quality non-chlorine shock to pools every week and about a tablespoon to spas every week during the swim season. Remember that there is a much higher body to water ratio in spas. This means more ability for chloramines to form in your spa. The object is to deny the chloramine formation to keep your chlorine free and available for sanitizing. In addition to adding non-chlorine shock every week, we add a special algae killing product only available to swimming pool professionals. This product also serves as a clarifier. Clarifiers attract tiny, unwanted micro-particulates in the water and form them into a larger size compound big enough to be filtered. This is where our pools get their crystal clear, blue sparkle. Avoid smelly pool water and make sure your swimming pool service has a plan for perfect pool water sanitation. What is more delightful than a safe, clean, crystal clear, blue sparkling pool in your backyard ready for you to swim or relax in? You work all week to pay your bills including your pool service, so get outside and enjoy your Pool Heaven as much as possible! 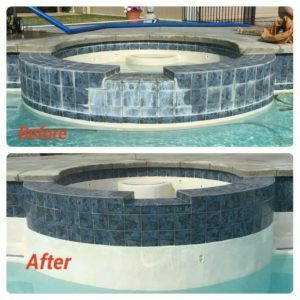 Pingback: Orange Pool Cleaning Service - Calif - Pool Heaven Inc.